Happy Monday! So I had some Wordpress (my blog platform) issues last week, but all is resolved now so I’ll be back on schedule. 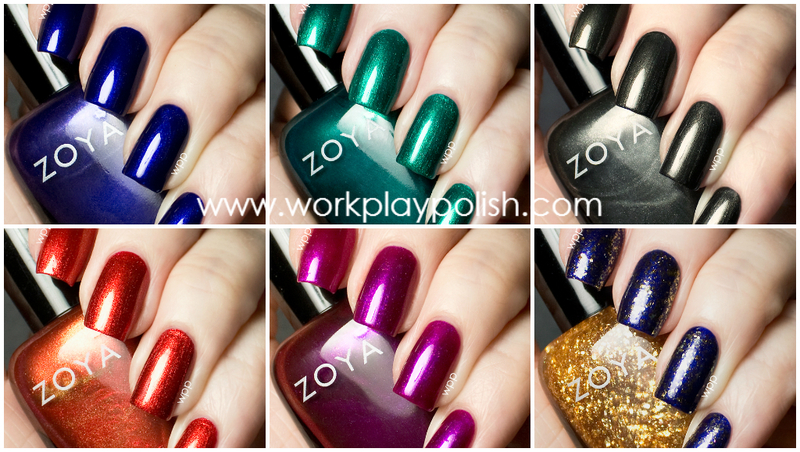 Today I have the last third of Zoya’s Fall releases (see Fall PixieDust swatches here and nail art using the Cashmeres here). The Satins Collection consists of 5 “silky, satin, metallics” and a gold topper. Application with the metallics was flawless, without a single brushstroke issue. Let’s start with my fave, Neve. Looking at the bottle, I thought it would lean a little purple. In fact, next to a bottle of Zoya Ibiza, it looks totally purple. 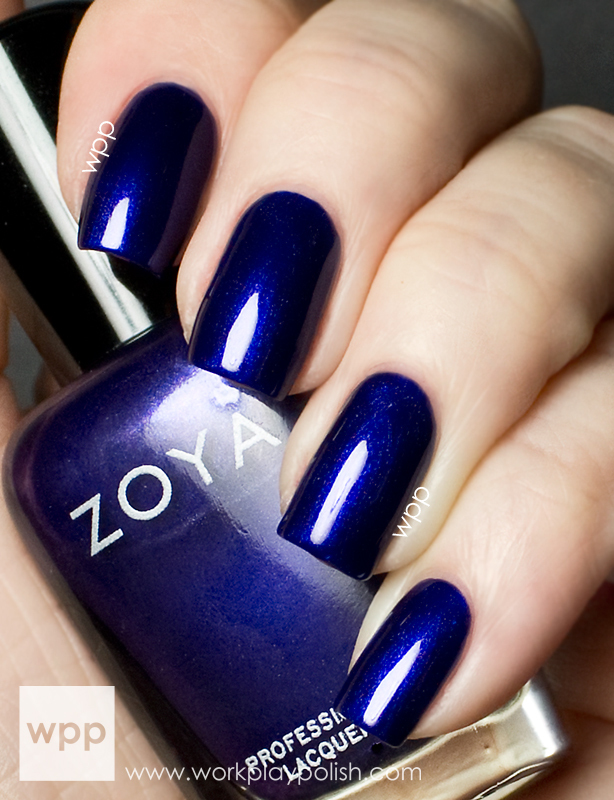 But on the nail, it’s truly a perfect deep sapphire blue. The color is really beautiful and pigmented...I'm drooling over it. This shade was originally developed for Zang Toi – Autumn/Winter 2013 (AW13). Next is Giovanna. I’m not a green polish lover, but this is perfectly gorgeous. Zoya describes it as a “lush emerald green”. This shade is even prettier in person. Giovanna was also originally designed for Zang Toi AW13. Claudine is a dark gunmetal metallic gray. I wasn't sure I would like this color in a metallic finish, but I do. It doesn't seem to have the depth as the others. I can see getting more use out of this one in the winter months. Channing is probably the most shimmery of the bunch. It’s a fiery red-orange that almost glows. Even with all that metallic shimmer, it had the silky consistency of the others and was perfect in two coats. Maria-Luisa is a special edition cellophane gold topper (originally designed for Rafael Cennamo AW13). The flakes are fairly dense. I used one light coat over Neve. They don’t show up well in my swatch, but truly, that’s the effect. It doesn’t have the sparkliness I expected, but I think it makes it more versatile than a regular glittery gold topper. This could easily build to opaque in three coats. And finally, my second favorite. 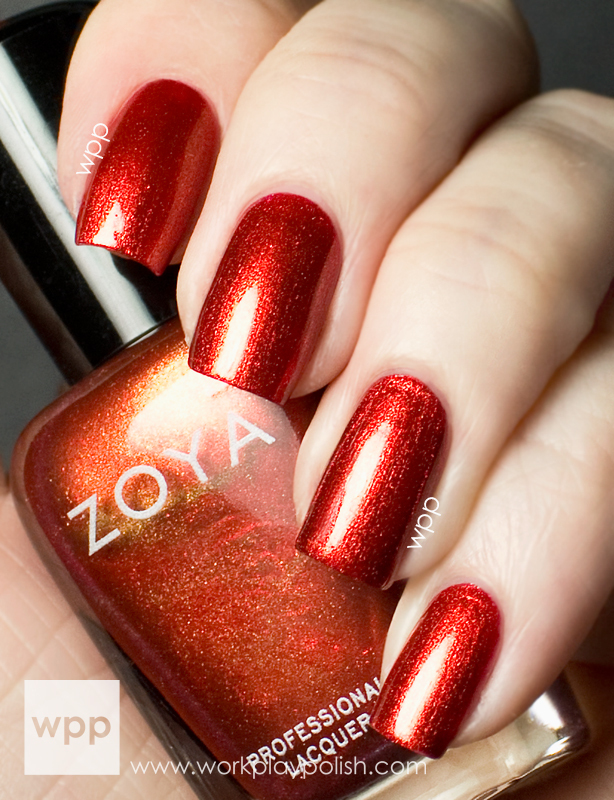 Zoya describes Mason as a “red-violet ‘fandango pink’ metallic”. I didn’t know what that meant. LOL. But after some googling, the description is dead on. I’m curious about the origin of that color name. Maybe Spanish Fandango dancers wore it? The polish is beautiful. This was originally designed for Zang Toi SS13. I'm partial to cremes (and Zoya makes magnificent cremes), but I still love this collection. Fortunately, I never purchased the Zang Toi Trio, so all of these were new to me. I'm not sure how I feel about Zoya recycling colors in their seasonal releases. But they do put out huge collections (18 colors a season with the PixieDust shades), so I suppose there's nothing to complain about there! Zoya Satins retail for $8.00 ea. (US). They're available at Zoya.com, select stores and spas and in ULTA beauty stores (not online). 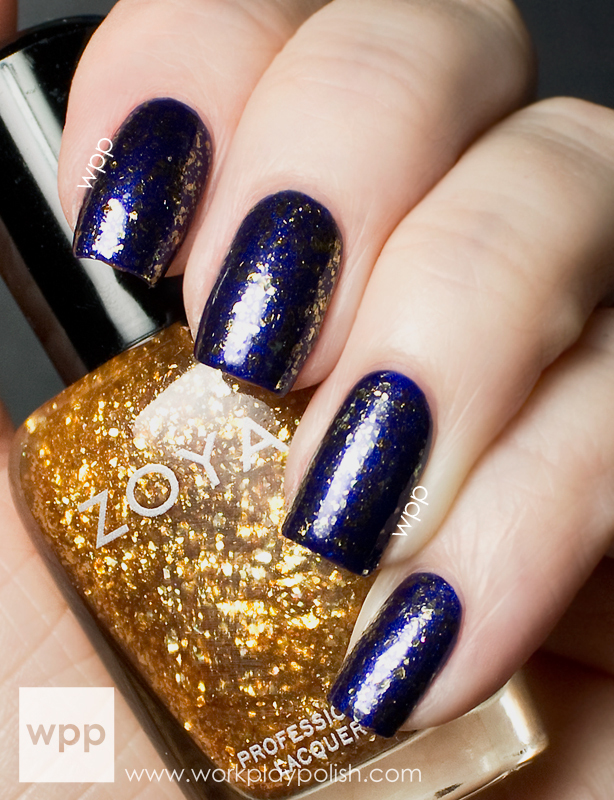 Zoya offers frequent promotions (a BOGO just ended yesterday), so be sure to follow their Facebook to get the scoop!